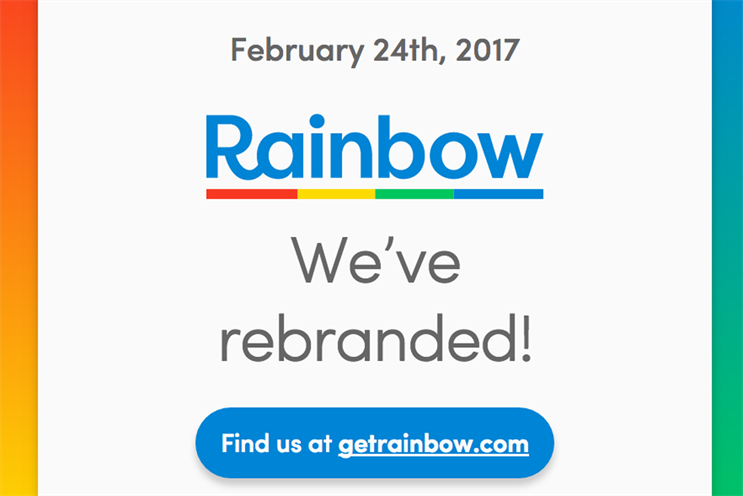 Controversial ad-blocking firm Shine Technologies has unexpectedly launched an advertising service and renamed itself Rainbow. The company was at the centre of the ad-blocking debate last year at the Mobile World Congress after Three signed up to use its technology at a network level in UK and Italy. Now, the firm has pivoted dramatically and has announced that it will no longer sell ad-blocking software. Instead, it has launched an offering that promises to deliver a better advertising experience for consumers. The new service is opt-in and promises a "better, safer, online ad experience". It’s slated to launch mid-year. It also has an ad campaign. Rainbow claims that its offering was built in cooperating with the advertising industry. "We've been working hand-in-hand with all stakeholders in order to make it 'fit-for-purpose'," reads its media kit. It lists its design partners as mobile carrier group, Three, a "top three global advertising agency group" and a "global media content group". The way Rainbow will work is it will verify ads that have been submitted for verification against industry standards. Ads that meet this standard will be digitally stamped and consumers are only presented with Rainbow-verified ads. Rainbow's filters will be enforced at network-level for consumers who have opted in. While ad verification services will be free, Rainbow intends to monetise insights and data services. This turnabout face mirrors Adblock Plus’ owners Eyeo’s decision to launch an ad exchange in December last year. The decision to abandon ad-blocking as a main source of revenue could be due to the slowing adoption of ad-blockers. Update: This article has been revised to omit references to Rainbow as an 'advertising network'. Roi Carthy, chief marketing officer of Rainbow, explained that the service does not monetise ads or own any inventory and so cannot be classified as an advertising network. "We are not an ad network by any stretch of the imagination," said Carthy. "Nor are we serving ads. We are a verification service, much like a brand safety service. We are not part of the 'pipes'."